Hold onto your tail feathers, we’re going prehistoric in an all-new episode. 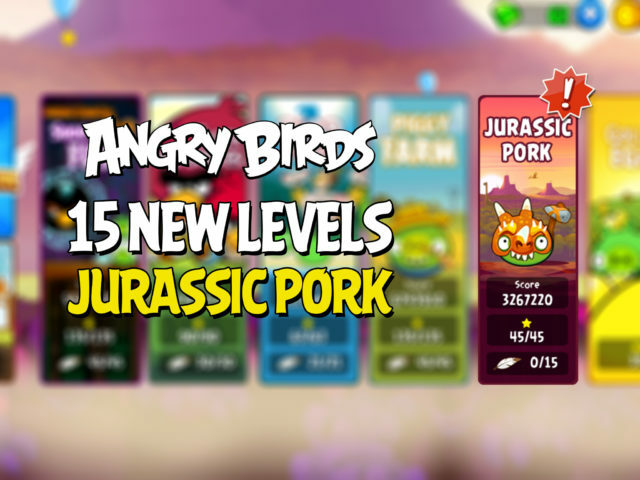 Welcome… to Jurassic Pork! The Mighty League gets a big update. Climb the improved leaderboards, play levels as many times as you want, and earn coins every day in new and exciting ways! Excellent!! Been some time since any New updates/additions! Now it’s live on iOS too! Did anyone else lose their Mighty Eagle? I’m on an iPad, and still have all my old feathers, but can’t summon the Mighty Eagle. When I try, there is a screen that lets you click restore, but all that does is spin (at least 20 min). There is another button that lets you buy it for $4.99, but I bought it years ago. 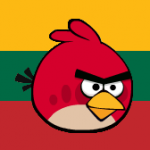 I am logged into my Rovio account. @mvnla2 my Mighty Eagle is still there. But $4.99? It’s sure gone up in price. Also noticed every time you open a level now, the powerups are on display automatically. Kind of annoying. @karen68 — Haven’t noticed, but if you close the powers once, do the stop displaying automatically. As for the ME, I think I paid $1.99 for lifetime use. Hey @mvnla2 you can ask our support to look into this at rov.io/support . They’ll do their best to help you out! How? By stating the same copy and pasted responses? Anyone else experiencing crashing problems? 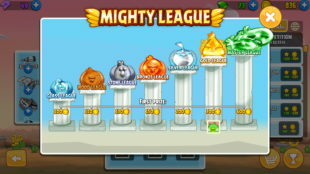 I played the “feather league” in Mighty League just before the league day changed. Did some other AB games and came back to this one, and now the game crashes a few seconds after the splash screen. iPad 3 with iOS 9, by the way. Try deleting all open aps and doing a hard restart. The crash happened once to me. Except now I have to do that every single time I play the game… ugh. I’m having the crashing problem on my iPad, too. I did the hard restart, and it worked once. What does seem to work is to restart the app several times. Seems the third time is the charm~but it shouldn’t work that way. I don’t even get as far as a crash. The moment I open the first level it stutters and lags even when I disconnect from the internet. Tried clearing cache, closing all other apps, device restart, nothing helps. I have plenty of available ram and storage space. This update has made the entire game unplayable. Huge disappointment. Rovio has jumped the shark. More ill conceived levels that defy physics. And quit shoving power-ups down my throat. So now the power-up menu won’t stay minimized? As if that’s going to compel me to use them somehow. I think it require root though. Please put a Halloween level out! When you I click on the Walk Through link above I get the “Oh No… Rio…” screen. The Leaderboard link does work correctly. Very disappointing release. The colors are horrible and, as mentioned above, the power-up buttons are extremely annoying. I lost interest in playing this episode after 2 levels. Played the first six levels to try to get an above average score and I am finding that the game ends prior to obtaining all the points from falling debris, tress, etc. very disappointing that it was released with premature endings. 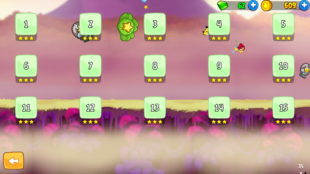 It’s so long that Rovio updated the originals. The AB series was so popular until they started milking their cash cow. 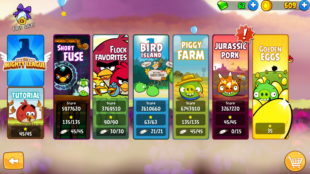 Now we have some bunch of spin-offs with lots of IAPs. I’ve watched the IGN reviews about its games, and the cons of it were mostly pushy IAPs (as stated for ABSW2). There are also in AB, Seasons, Rio, almost every AB game. I didn’t remember having gems and coins in AB. Let’s hope that Rovio, one day make the classic slingshot game, instead of matching games! @mighty-red on the gallery pictures above you can see the episode with the big explanation mark. Have completed all 15 with 3* yet every time open abo that mark is flashing away as if something has been missed. Golden egg? I liked the pig farm levels way more, this is getting too fancy again… :/ also the ower-ups bar opening automatically is very frustrating. 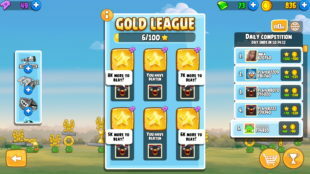 I’m stuck at Leather League, I have finished the 6 levels but nothing happens, and it’s been days!